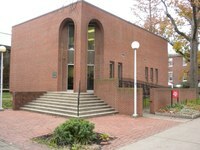 The University of Louisville is a nationally recognized research university located in the largest metropolitan area in Kentucky. Those who want a university experience like no other and have the desire to stand out from the crowd need look no further than UofL. With more than 250 degree programs in 12 colleges and schools, there's something for everyone. Our students, faculty and staff are dedicated to bringing the knowledge we generate into the service of our community. Learn more about UofL. With over 250 degree programs; there's something for everyone! Louisville's vibrant cultural scene: Kentucky Derby, Thunder Over Louisville, and, of course, the food! Over 400 student organizations--Get Involved! Oldest city-supported college in the U.S.